Holiday Club Fun at Royston-Wardieburn Community Centre. Last week during February half term holidays The Academy's holiday club was in full swing! With just over 100 children during the week, Holiday Club was a fun and busy time for the kids (not to mention staff and volunteers!). Pupils in primaries 1- 7 from Granton Primary School enjoyed arts and crafts, a bouncy castle, games and sports. Homemade hot lunches were provided Edinburgh City Council with sausage, chips and beans being the voted the favourite! The Academy's youth work team were put to the test in challenges nominated by the kids including skipping, hula-hooping and even singing! We will take the likes and dislikes from the participants and use them to make our next club even better. On the final day of the club everyone headed along to North Edinburgh Arts centre to watch a film before visiting The Academy for lunch and a chance to play on the football pitches. Feedback from all involved was positive and we enjoyed working in partnership with City of Edinburgh council, Royston-Wardieburn Community Centre and Granton Youth Centre. 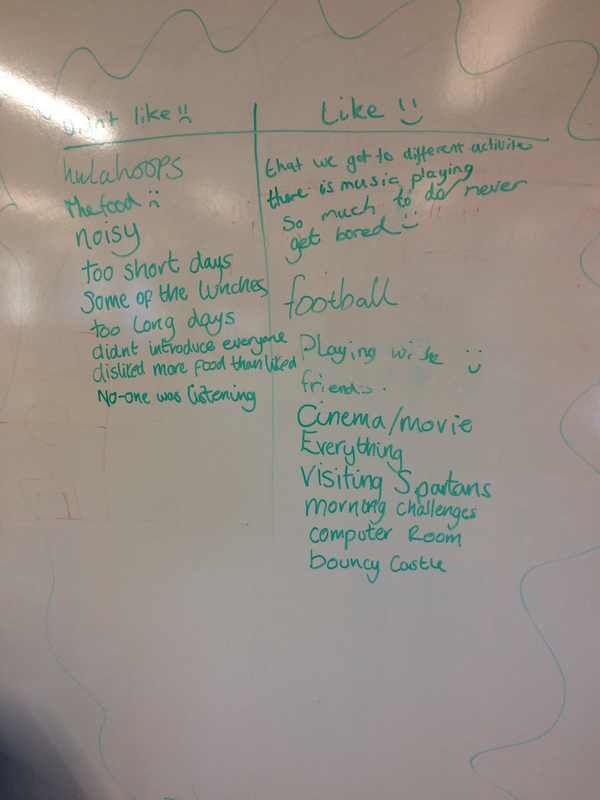 Planning is already underway for an Easter club. If you would like more information please contact: kennycameron@spartanscfa.com or on 0131 552 7854. The Spartans Community Football Academy is committed to working in partnership to alleviate holiday hunger. Watch our video here.